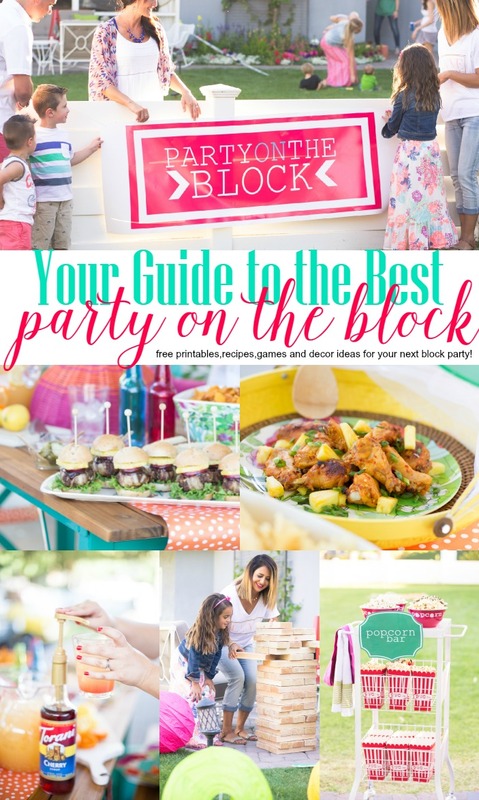 How to Throw a Block Party! There’s nothing quite like the anticipation of summer. The food, the parties, the pool and beaches, long nights and a LOT of relaxing. 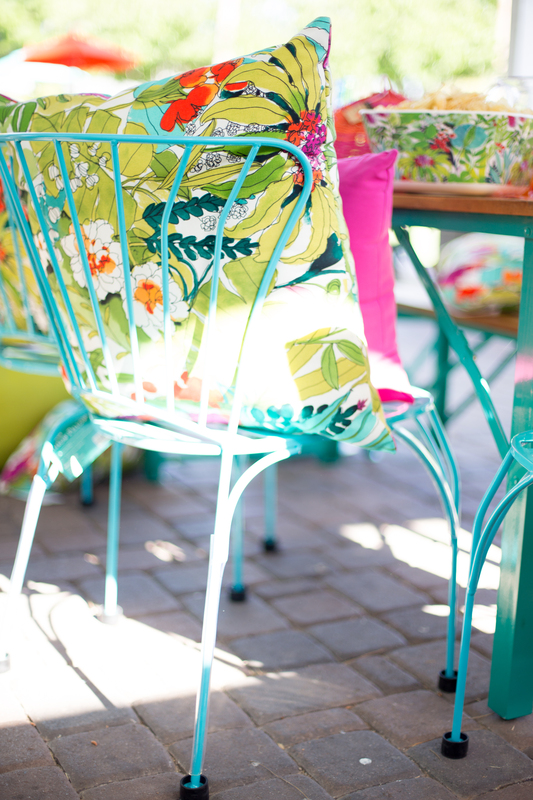 I think summer colors even make us excited to get outdoors and enjoy the weather.Summertime is one of the best times of the year. 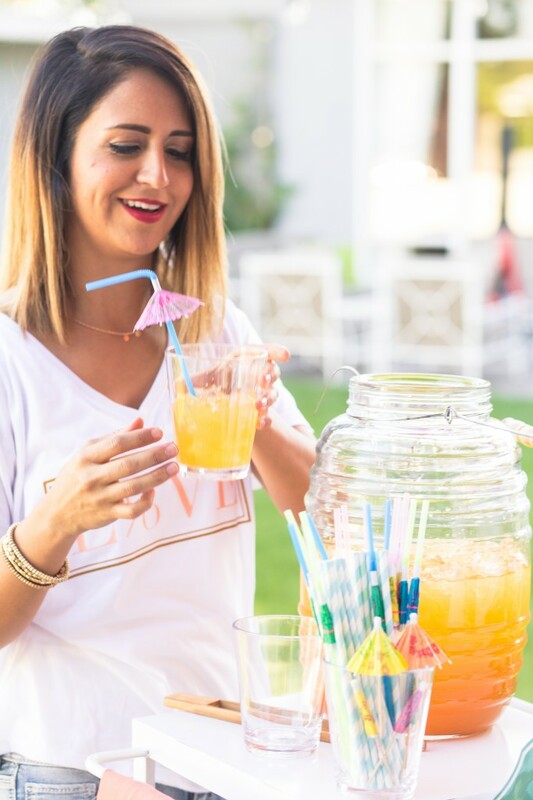 This guide with give you tips, things to think about and some great resources so that you can plan the best party on the block! Before you begin it’s a good idea to recruit the neighbors that you DO know to help you. There is just no way you can pull this off by yourself. Assign each person a job such as getting the permit if needed, invitations,games, food sign up sheet and rsvps, etc. I love using Sign Up Genius for tasks like this! You can just add the link to any flyers of invitations that you send out! If you plan on collecting money (for permit fees) make a budget during this meeting.But to attract neighbors keep costs pretty low. Permits are almost always required for block parties like this. Most of time your city or homeowners association have some great resources for you to use, like tables, chairs and block off signs for you to use! Every block party needs a good set of invitations. It can be as simple as a flyer you put on each door or an Evite. Facebook invites are also a great solution. You can have neighbors add other neighbors you may not know to make it a full house. Really encourage everyone to attended and send out reminders 1 week and 3 days before if you have RSVP’s online! Since you might be meeting some new neighbors during this event you will want to provide name tags for all the attendees to wear. This way names and faces can be matched without having to asked all day. Add fun extra like ” Originally from” to the tags to spark conversation. These chevron name tags are perfect and affordable! 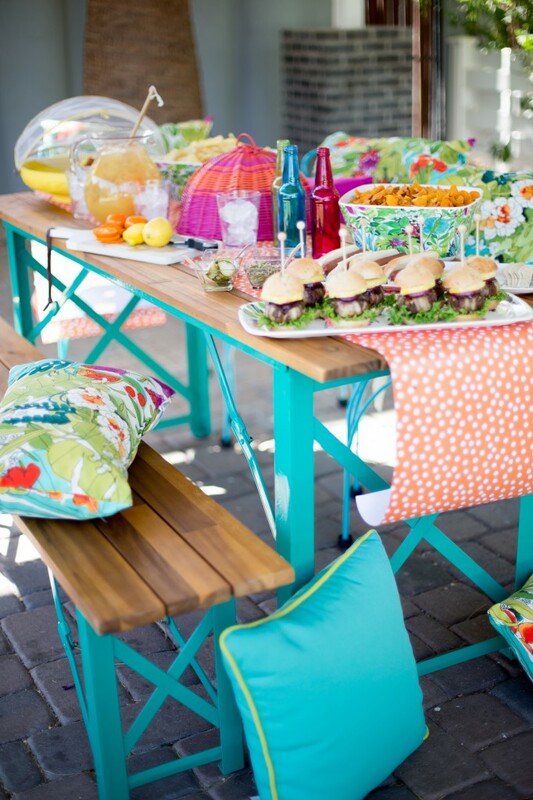 One of the easiest set ups for a block party is a potluck! Have each family sign up to bring main dishes, desserts, sides,etc so you have enough of each. You can do this on Sign Up Genius as well! You can also have each family bring there own sides, plates and meat. Have a few neighbors bring grills and then set up an eating area around them. If your thinking rolling grills down the street might be to much, think small. 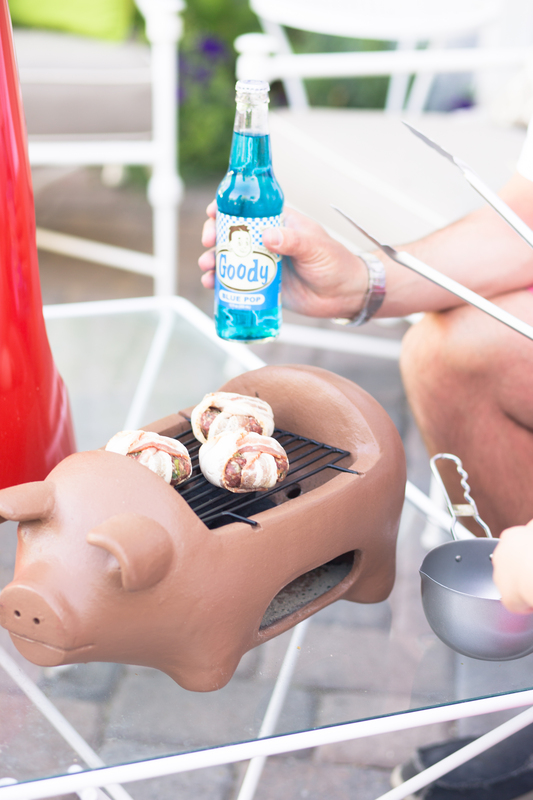 Stores like World Market have portable grills like this little terracotta pig grill that is easy to transport and can grill up burgers and dogs in no time! Having different stations when it comes too food is a great idea and a way to spread the party out and keep things fun! Neighbors can hop from station to station to meet different families and have a great experience trying delicious foods. Again you can have one family in charge of one station or set up a rotation between neighbors. 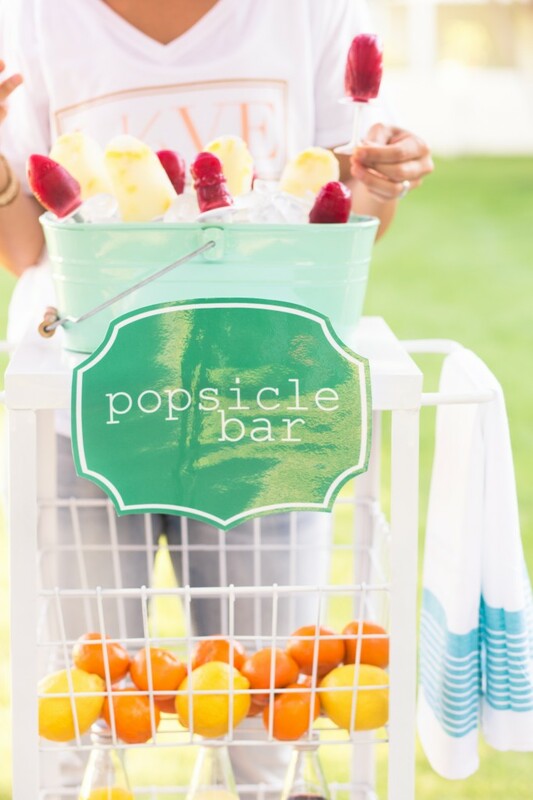 For the popsicle bar you’re going to want to have a freezer near by, but with wonderful recipes like these from Baked by Joanna, they will go QUICK! 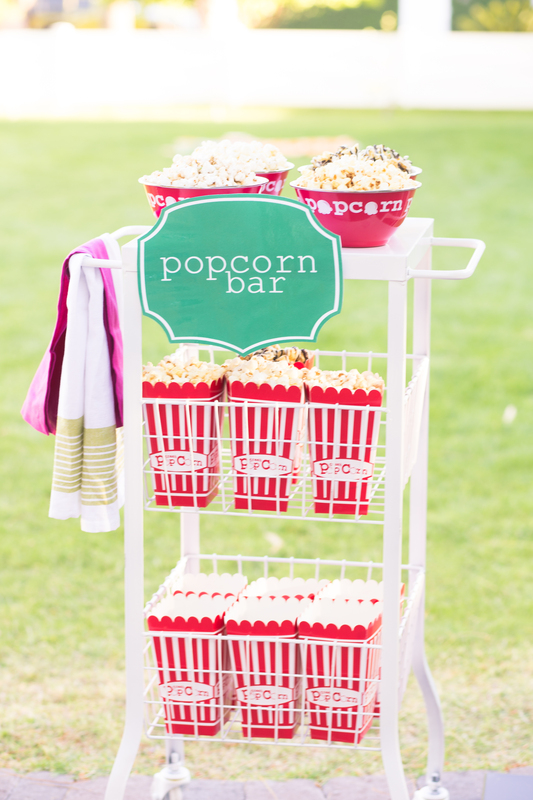 Popcorn is one of the easiest snacks to have at a party like this. So why not have some one show of their culinary skills and make a few different types of popcorn. 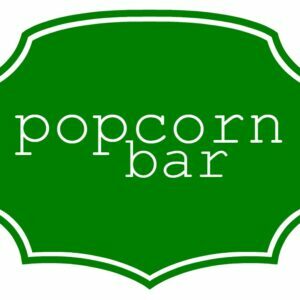 Again my friend Baked by Joanna really out did here self with four different popcorn recipes. My favorite? The zebra popcorn!!! Oh my gooooooodness! 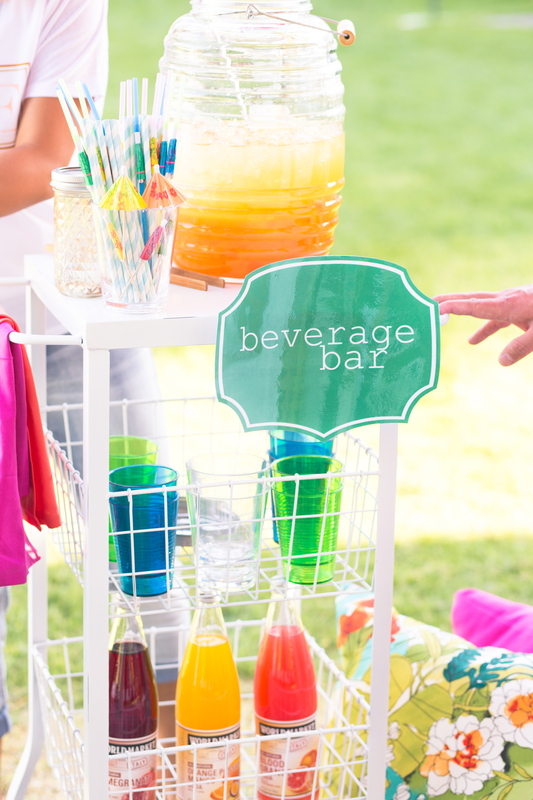 Set up an area on the street were your neighbors can either help themselves to a custom made drink or water and soda. 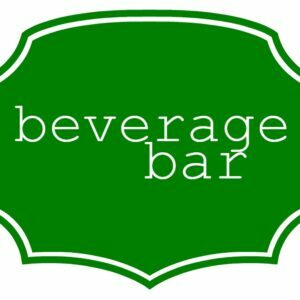 Kim from A Night Owl has a few beverages that both kids and adults will love! 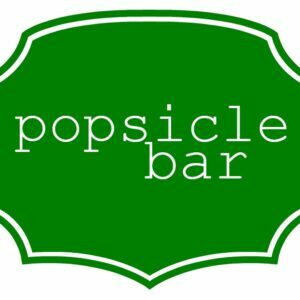 You can download the beverage, popcorn and Popsicle signs below! Just click on the image, right click and save the image! Whoever’s in charge of decor can go big or they can make things pretty simple. Either way, don’t skip this step! Something as simple as balloons and a banner make things inviting and festive which draws your guests in a make them want to be a part of the party! 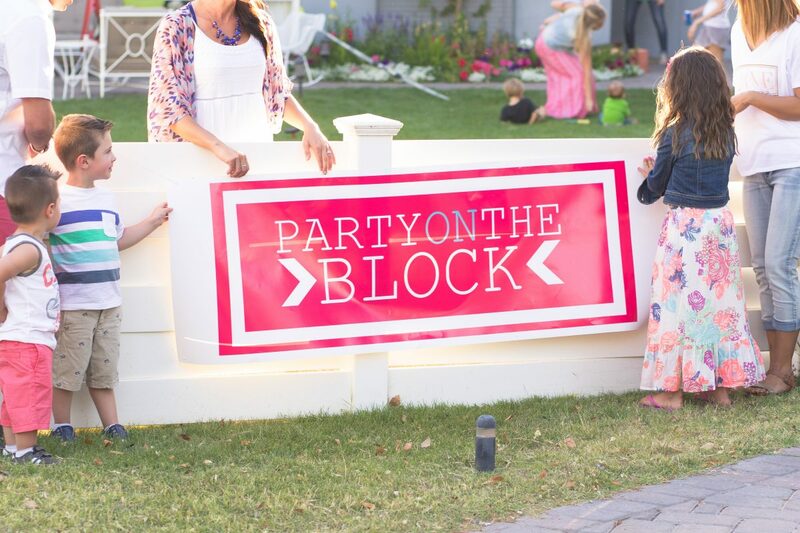 Start the party off right with a big sign hung on a fence or at the beginning of the block in a neighbor’s yard. 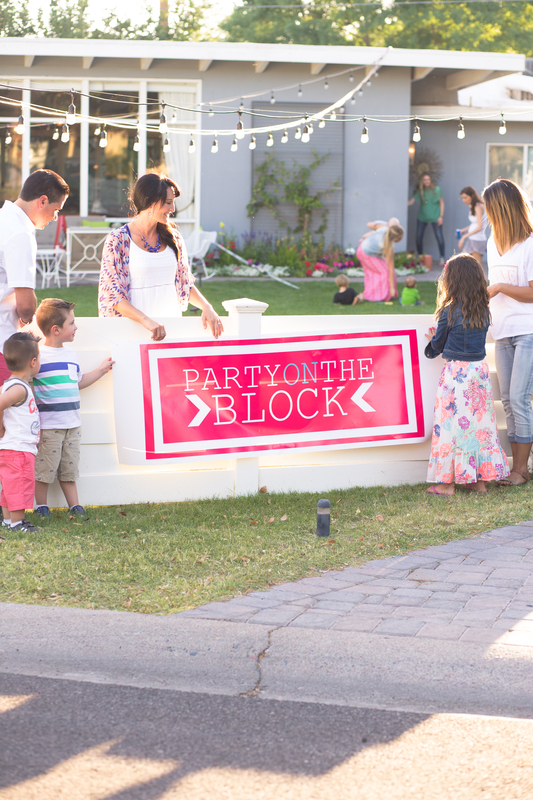 This bright pick ” Party on the Block” really gets everyone’s attention and the best thing is that you can print off this sign at your local WALGREENS and get it within ONE hour! Yep! I gave out this secret last year with my Christmas banners, so I applied the same idea to this one. Download the free sign here and follow the instructions on how to here! 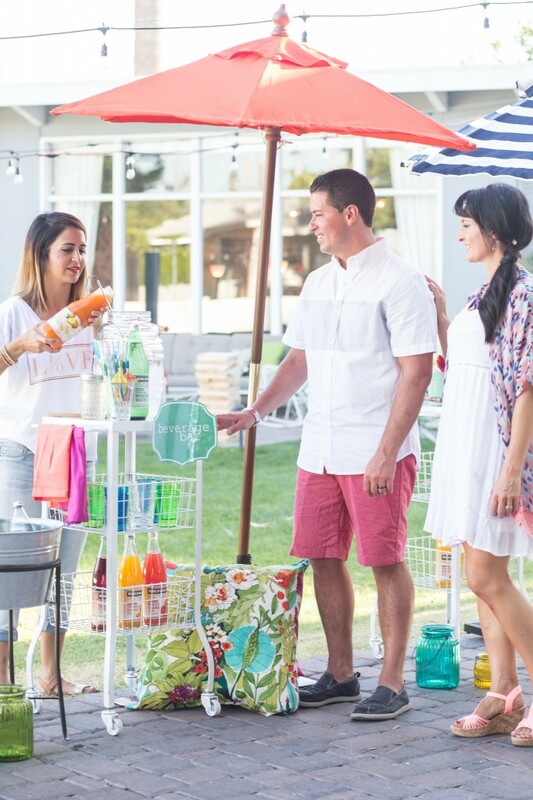 You can use a collection of umbrellas and rolling carts or tables to set up food stations that are shaded and protect the food from the heat. When it comes to where your guests are going to sit, get creative. Invite guest to bring there own blankets and even chairs to make there own eating areas! 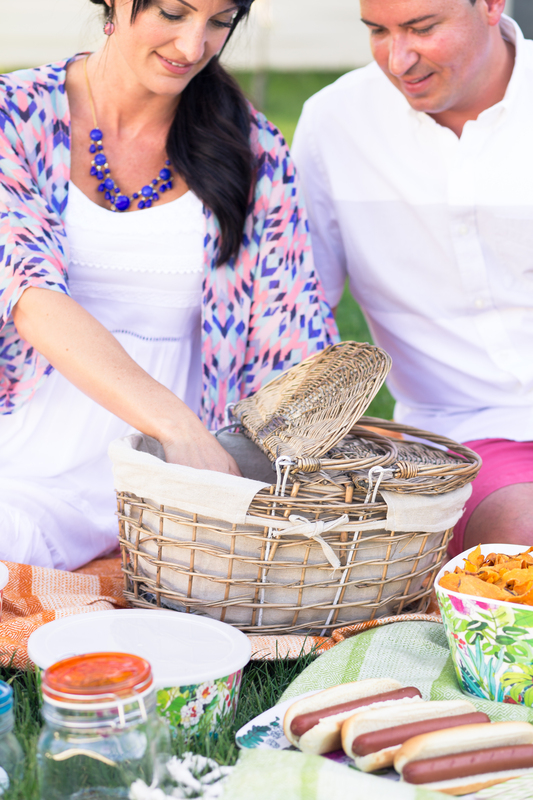 Bring your own food in picnic baskets and cute jars and containers for transporting food. If you want something more formal collect folded tables like these from World Market. They can be brought down to the party by car or carried down the street with some help! Either way make things easy for everyone. Bring out chairs, pillows and anything else that would make great seating for the event. You can also use lanterns and string lights for extra lighting when it gets dark. 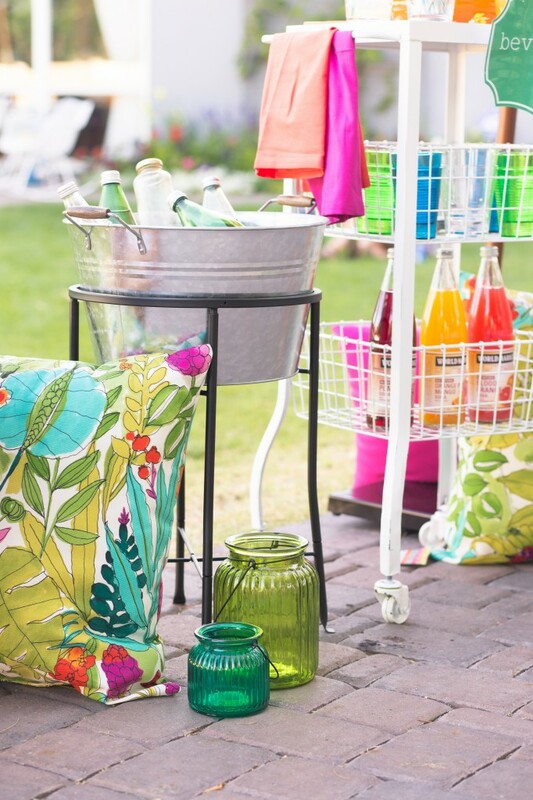 For added color use these colorful paper lanterns around the yard! I love them because they are reusable and can be used for multiple parties throughout the year! Make sure you have plenty of activities planned during the party to keep thing moving. 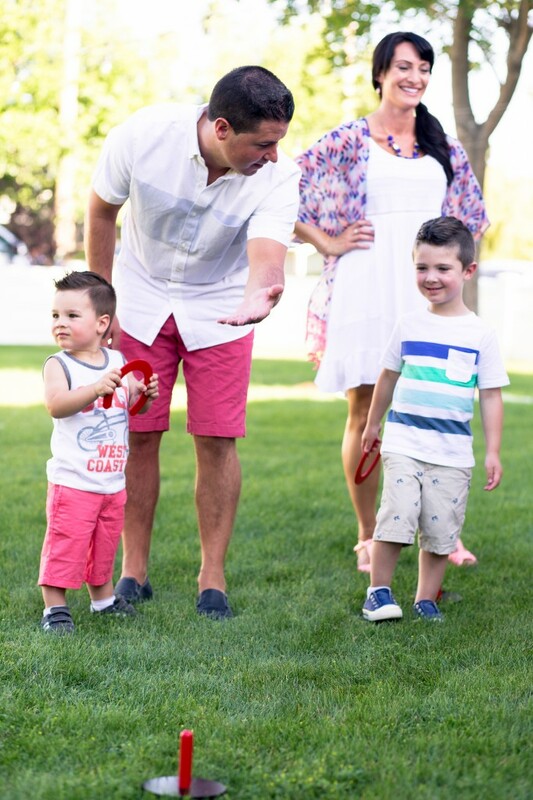 Think of games that both adults and children can play and maybe even set up some friendly family competitions like horseshoes, flag football, tug o war or paddle-ball. Great activities for the kids might include a slip and slide, chalk for a drawing contest and maybe kickball or bottle bowling. Make things even more exciting by handing out prizes like these ones from Dream Book Design! 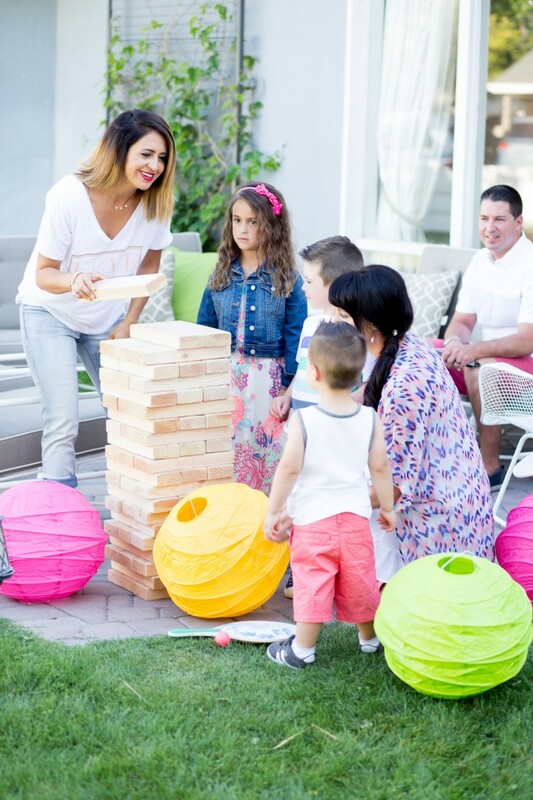 Click here to learn how to make this giant JENGA game! Last tip is to make sure to HAVE FUN! 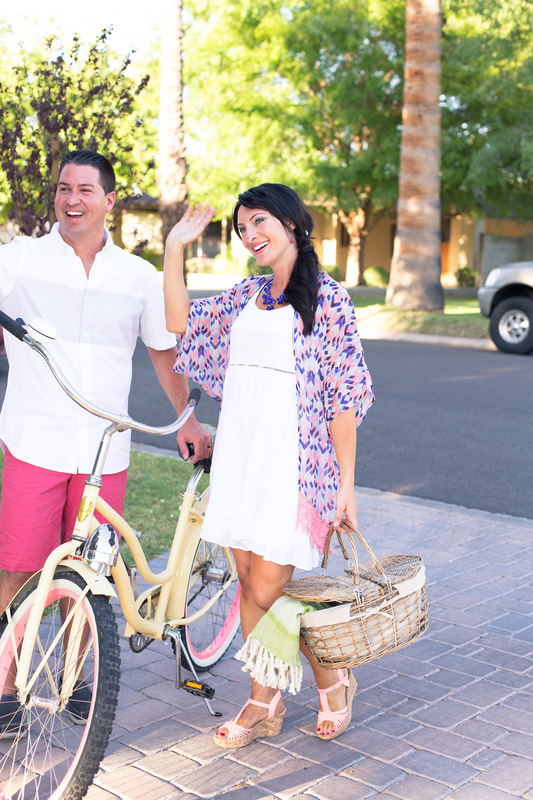 Keep things light and encourage your neighbors to mingle and get to know one another! Don’t stress out to much about the small things! 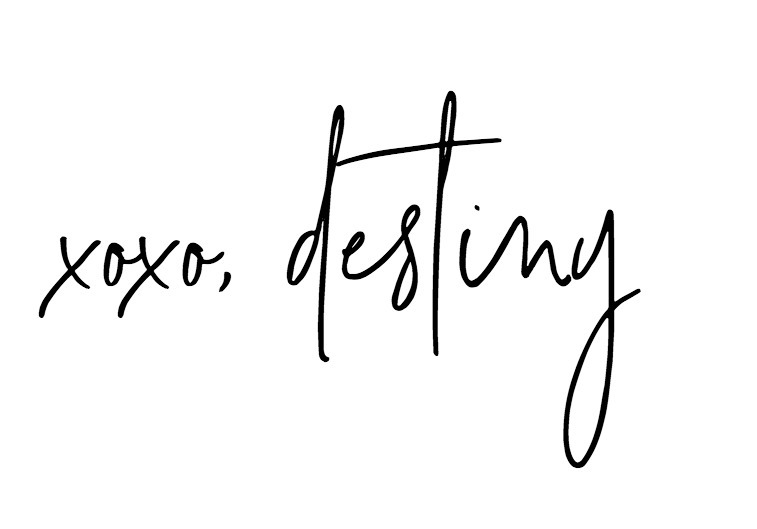 Thanks for the ideas, Destiny! I love to organize parties and other events where people can get together. I love the ideas for having games and activities! Thank you! Greetings!